The attic is a space with the wildest temperature changes in the entire home. Those temperature swings, sometimes as much as 100 degrees, are often caused by the presence of duct work and leaky areas such as wall leads and can lights. 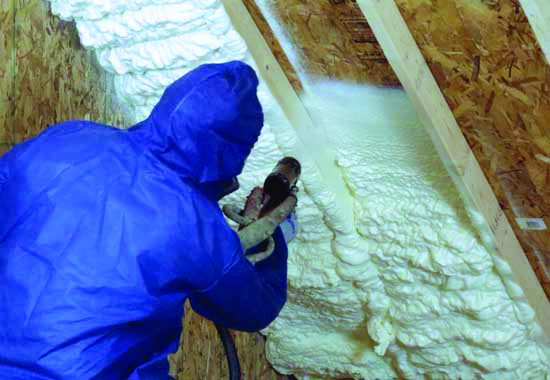 Foam insulation has a solution for this wild frontier: a thermal, moisture, and radiant barrier. Install foam insulation for a closed attic system, and you stop the extreme temperatures, never allowing the air to invade the space, keeping it conditioned to the home’s temperature. In other words, the desired inside temperature remains, and the undesirable outside temperature stays, well, outside. Now all the duct work and other penetrations are in the envelope of the home, reducing air leaking, ensuring your home is more efficient. What does an efficient home result in? Lower energy bills. If you are like most people and enjoy lower energy bills, call 888-936-3626 for a free estimate on attic insulation. In 2017 I had my attic foamed. Wow… what a difference in my electric bill for A/C. My unit never turned off during the summer months prior to the foam being applied. Now, the unit cycles on & off and the house is very comfortable. This is great stuff. And the crews were very respectful of all the areas they had to be in.